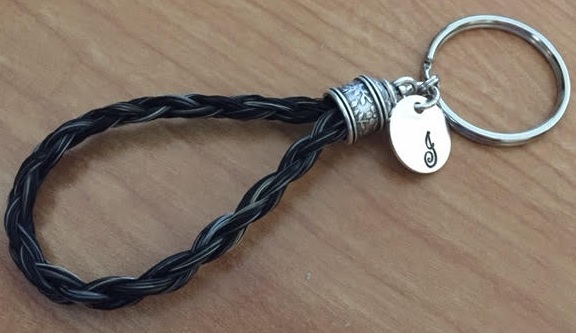 This attractive little braided keyring will include YOUR horse's hair, making it a nice memento or gift! It will be topped with a silvertone keyring, but all other metal (endcaps, beads and disc charm) are sterling silver. Choose from a floral, bright sterling or antiqued sterling bead and endcap. It will be 3-5" long, depending on the length of hair you send. We'll need a ponytail about the size of your index finger for this braid, about 6-10" long. After placing your order, you will receive an email with instructions on where to send your horse's tail hair.